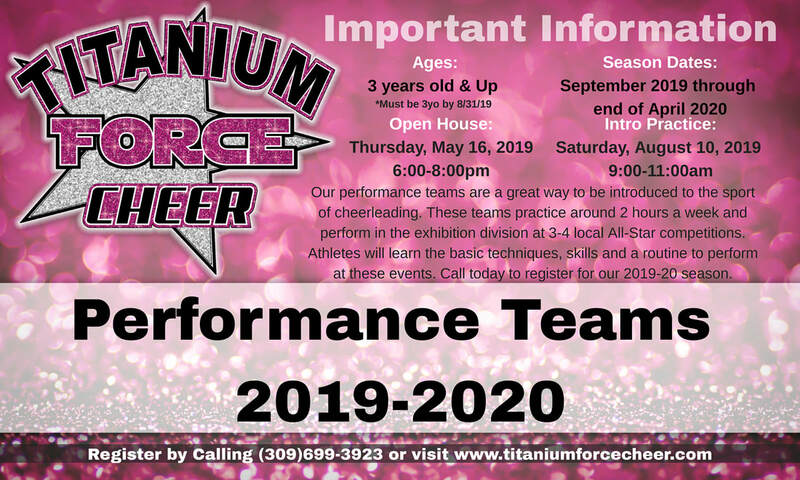 There is no better place to experience the world of competitive cheer than at Titanium Force! Our teams have excelled with many 1st place finishes at every level and receiving multiple bids to the National Competition, ‘The Summit’ Varsity’s All Star Cheerleading Championship at Walt Disney World in Orlando, FL. Click Here to Register for Competitive Cheerleading Tryouts or to Sign Up to be On a Performance Team!